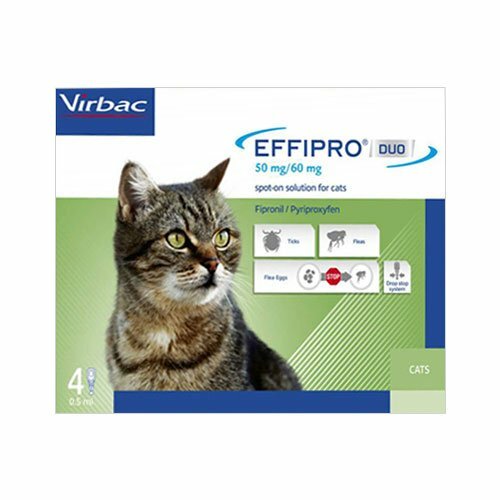 Manufactured by Virbac, Effipro DUO spot on solution is an effective treatment to be used against flea and tick infestations. 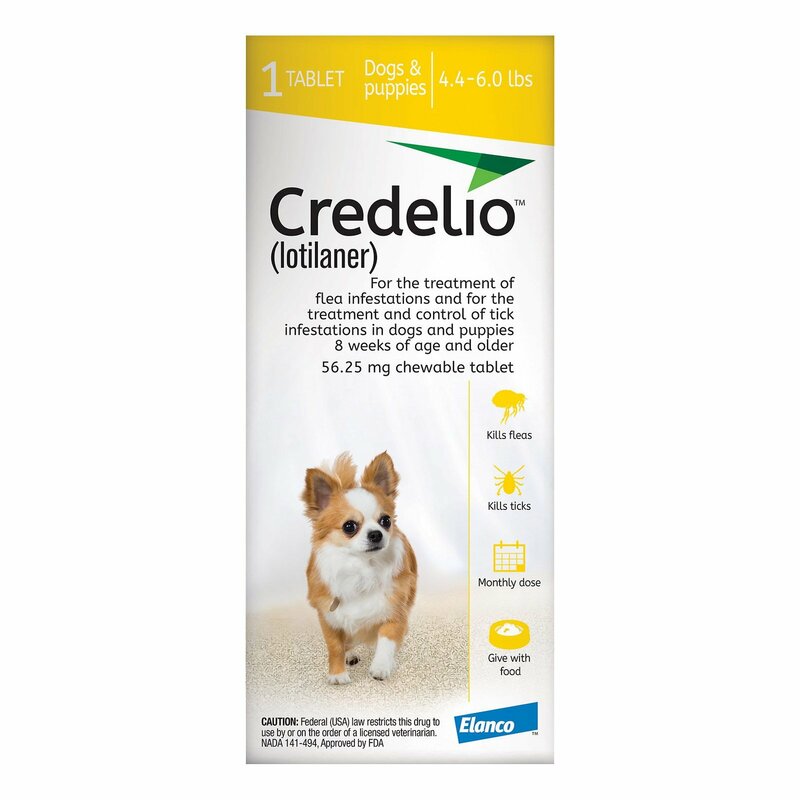 The monthly spot-on kills fleas and prevents flea infestations for 5 weeks. It restricts the increase of flea population by inhibiting flea eggs. Effipro is an advanced formula that can be used as part of a treatment strategy for the control of flea allergy dermatitis. The spot on destroys 90% existing ticks and prevents infestation. Effipro DUO has a potent combination of fipronil and pyriproxyfen. This combination of adulticide and an insect growth regulator broadens control over flea life cycle. The monthly spot-on not only kills adult fleas and ticks but also provides protection against flea life cycle and prevents re-infestation. Offering a proactive approach to flea management, Effipro DUO compensates compliance gaps that may lead to residual flea issues. Effipro DUO Spot-on for cats is a new era flea and tick control product. 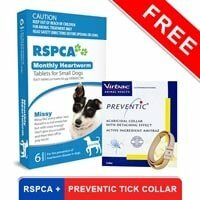 The monthly spot-on is used against infestations with fleas alone or in association with ticks. 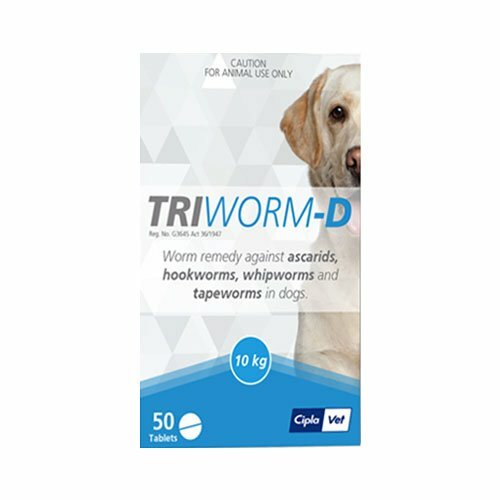 The single dose treatment prevents flea infestation for 5 weeks and prevents flea eggs developing into adult fleas for 12 weeks after application. 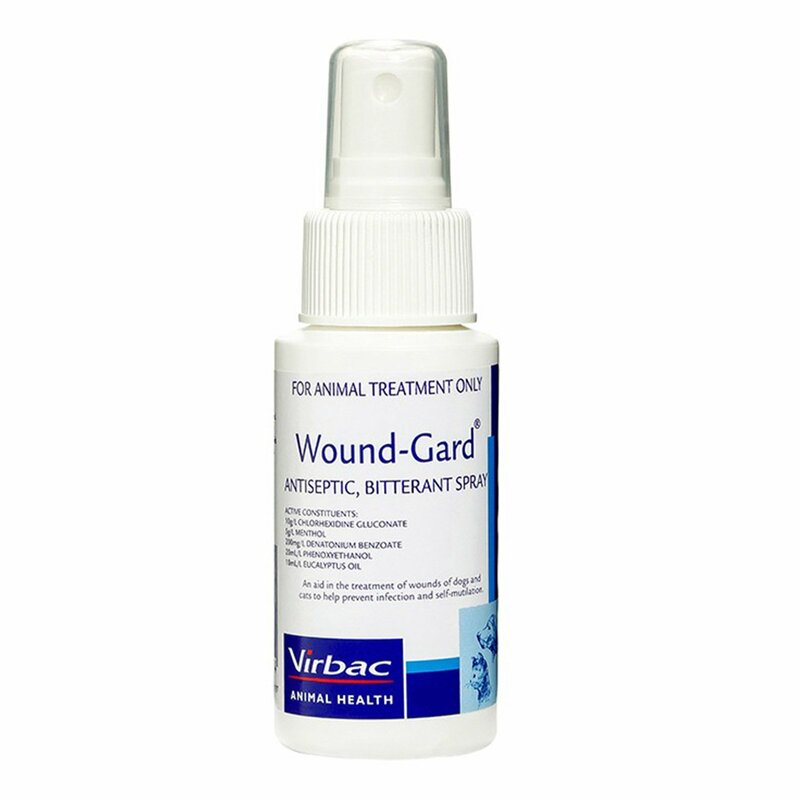 The topical solution provides continuous acaricidal efficacy for one week. This easy to use spot-on works for four weeks. Select the package according to your cat’s weight. Remove the pipette from package and hold it upright and remove the cap. Place the tip of the pipette on the skin and squeeze firmly several times to empty the entire contents at one or two spots. 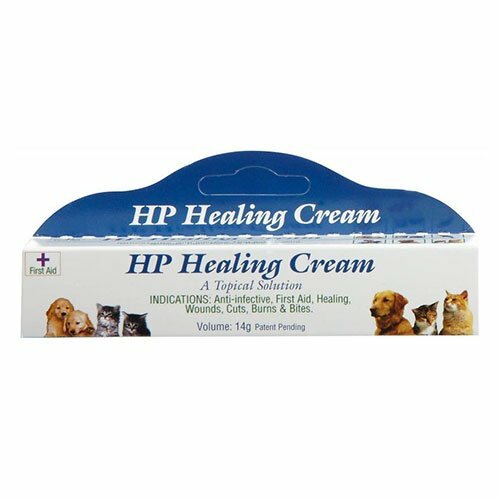 The topical treatment in perfect for my cat. It kills fleas, ticks and lice too... my cat has suffered with chewing lice problem in the past and i won't want it to happen again..
Effipro topical solution works with great efficacy on Missy and she walks around like my darling queen without any parasite to bother her… I love her style! We live in woods so fleas are a common problem here and Effipro is my monthly escape from it. This is a great product for keeping the fleas and ticks away. Easy to apply and easy on the pocketbook. The free shipping is very much appreciated. This product is the best one of the many that I have tried and does not break the bank. This is definitely flea season and I wouldn't want to go without it. Only Buy at Budget Pet Care! You can't beat the prices. I have been shopping here for a few years for my cats and dogs. Never a problem and the delivery is quick. 294 of 321 found this review helpful. Works great and a great price. Took a couple of weeks to arrive, but well worth the wait! 289 of 314 found this review helpful. Since Frontline Plus was unavailable, I tried the Effipro Duo for Cats.....I put it on about three weeks ago, and I have checked my cat closely twice and so far no fleas nor any evidence of fleas...My cat is an indoor/outdoor cat....She seemed to have gotten immune to Frontline .....I recommended to my son for his two cats....All in all it seems to be working great????????? 142 of 154 found this review helpful.